I would suggest companies have the ability to make a greater name for themselves through adversity and mistakes than in easy times. When everything is going well, there is less to differentiate between companies. Turbulent times are when a company and its leaders can demonstrate character for its customers. Recently, at Chick-fil-A, I had to wait for my order beyond the wait expected in a quick-service restaurant. They had over-cooked a basket of chicken fillets, and we were now forced to wait for our chicken sandwiches. The drive-through attendant tried to make the best of the situation by striking up a conversation with me rather than pretending I wasn’t there, the latter of which seems to frequently happen in these situations. She was then prompted to ask me to move into the parking lot to continue waiting. The team lead began walking car to car passing out free entree tickets for the next visit and apologizing for the delay. Tip number one: Do whatever is in your power to apologize to the customer sincerely. Company Facebook pages and Twitter have become breeding grounds for people to complain. Being able to hid behind a computer screen gives people courage to say whatever is on their mind with little fear of repercussion. Some companies ignore or delete the comments, but some address the comment and try to resolve the issue to the customer’s satisfaction. Someone once dissatisfied, now satisfied has greater power to influence people than the person who was satisfied all along. These people tend to talk about their experience more as well, which means they will reach a greater audience. Tip two: Don’t ignore a problem. Address it. The persona the public uses to describe most companies is cold and impersonal. When companies break free of this persona, they gain even greater loyalty. Through history we have seen a few notable companies doing this; the most memorable was Tylenol pulling all Tylenol off the shelves after reports of cyanide. Even though it seemed the affected product was limited to a small area, that didn’t stop Tylenol from pulling all their product from the shelves. This allowed consumers to maintain their confidence in the company. Tip three: Do what’s right, not what’s most profitable. Moments of adversity allow a company to differentiate themselves from those afraid to do what’s right and to make a difference when it really counts. 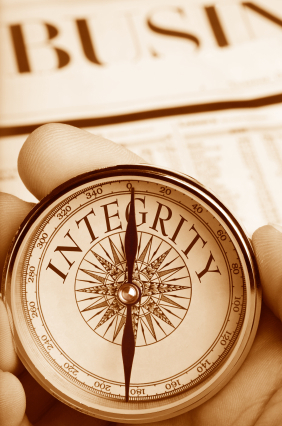 Doing what’s right might have a short term cost, but in the long term it gains loyalty, goodwill, and a positive reputation, which pays dividends far into the future. This is all so true! Even when companies have failed me, their apologies have made all the difference in the world and made me a loyal customer! Very good points. I never expect perfection from a company, but I DO expect good customer service when something goes awry. Good character and customer service go a long way toward making me a life-long, repeat customer. Yes! I think people would be a lot more forgiving if they received attentive and empathetic service when something goes wrong.